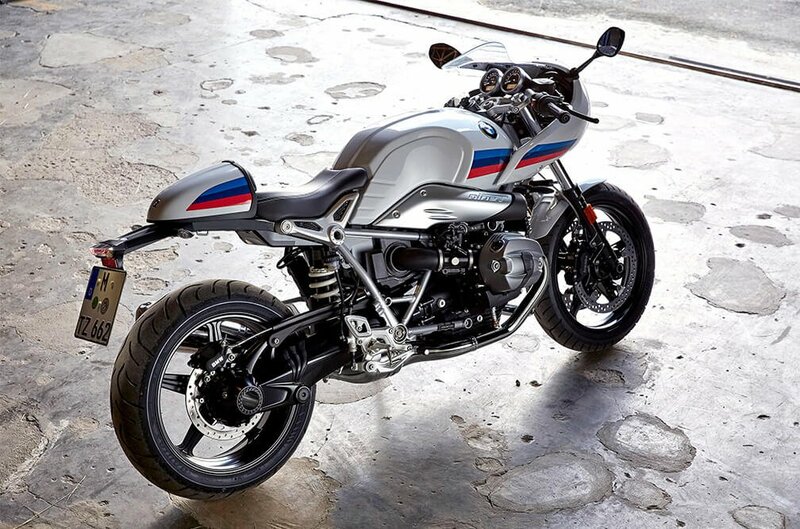 The BMW R nineT Racer lets you relive the era of legendary superbikes. 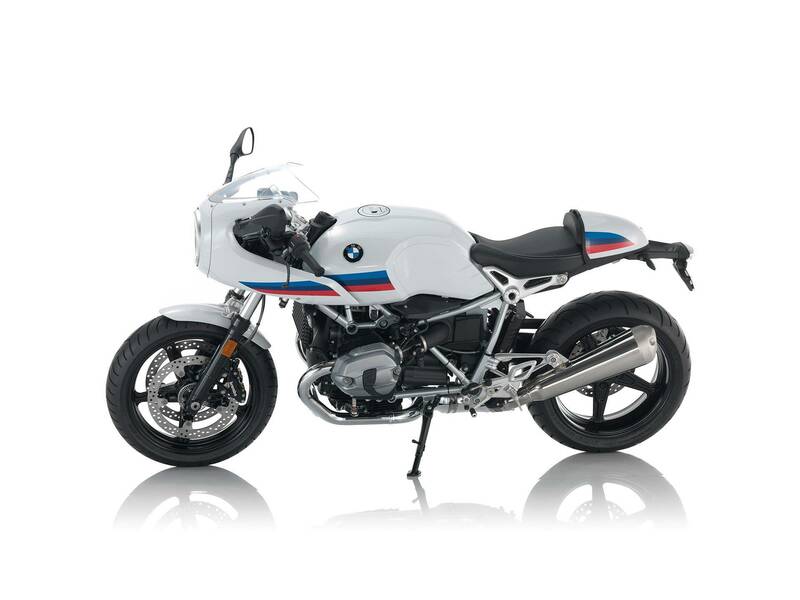 Far removed from an obsessive retro romanticism, but rather a customisable bike with innovative technology and in customary BMW Motorrad quality. 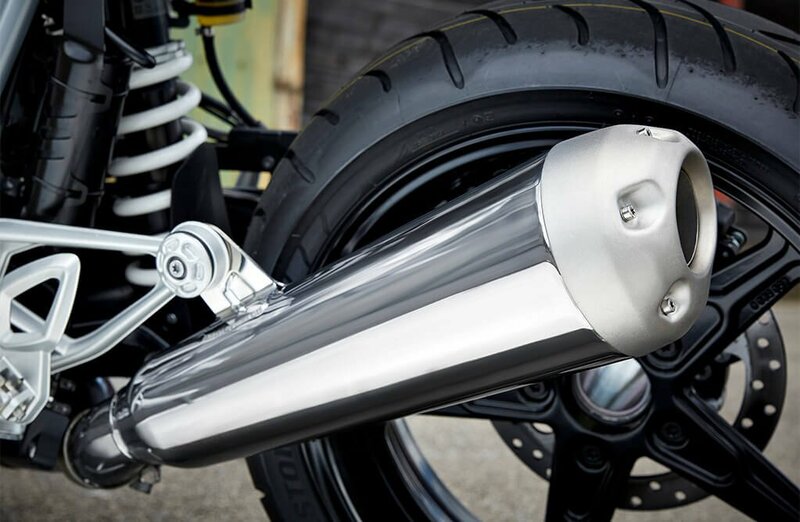 Crouched behind the striking half fairing, both hands tightly holding onto the low-slung handlebar grips, you can feel the powerful boxer work, you hear its unmistakeable roar. And you already know: only a strong character can truly appreciate a bike of this calibre. 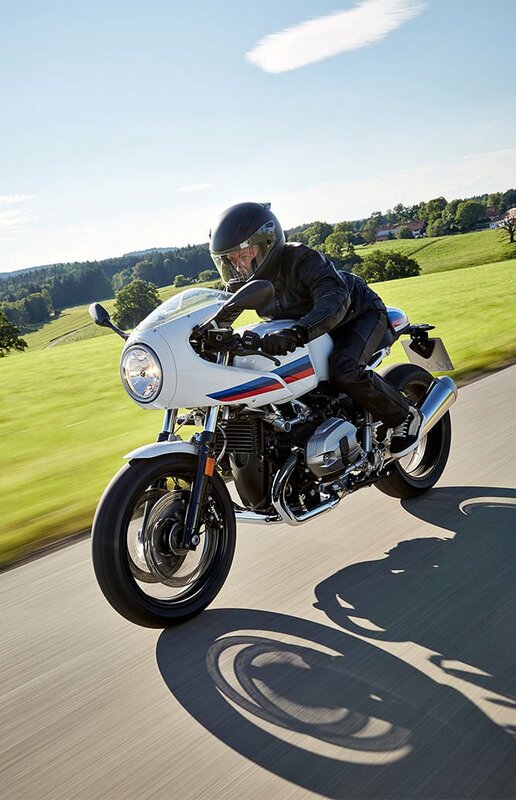 The design of the R nineT Racer unmistakably takes inspiration from the motorsports of the 70s. The elongated proportions extend through the entire design and promise pure acceleration. The distinctive half-shell fairing, tank and the seat shape have been produced to create a slim silhouette. The long wheelbase and the low-slung handlebars positioned far to the front complete the low, sporty seating position. The white bodywork is eye-catching as it clearly stands out against the dark riding parts of the bike. Even the tape that runs from the front to the rear in the BMW motorsport colours constantly call for the next acceleration. 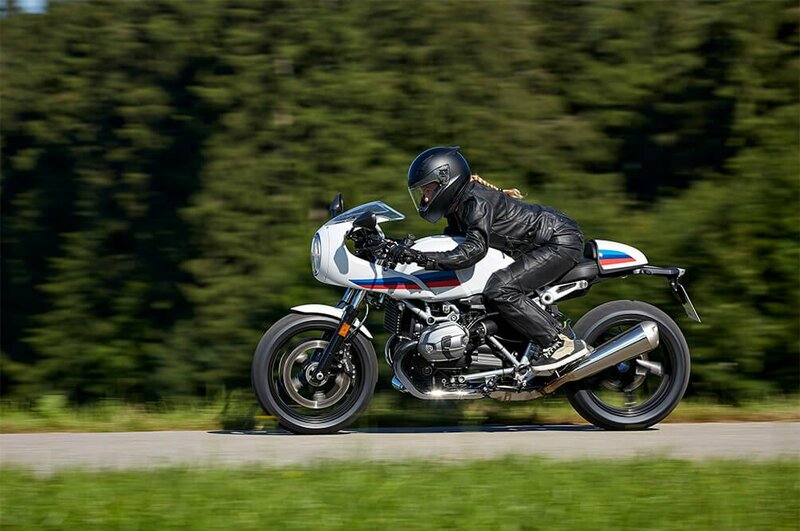 The R nineT Racer's technology is just as confident and strong as its design. 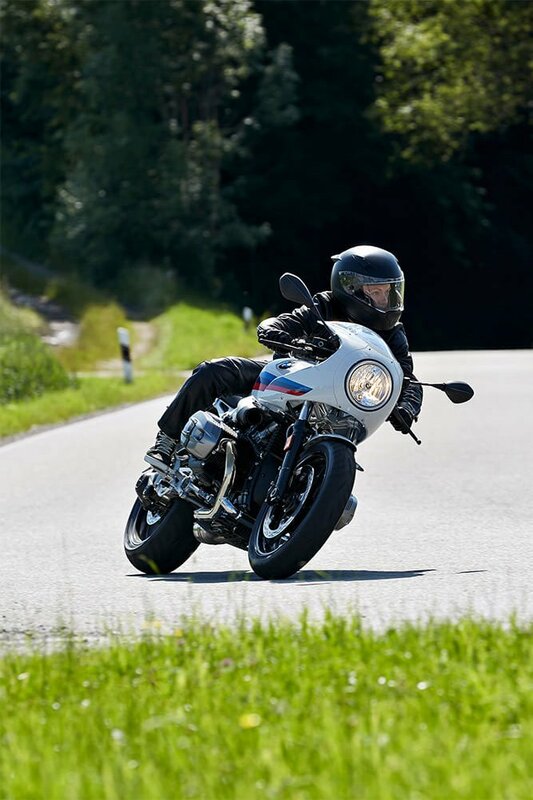 The R nineT Racer also meets the current EU-4 standard thanks to its state-of-the-art technology. The powerful air-cooled, two-cylinder boxer engine features a capacity of 1170 ccm and 81 kW (110 bhp) of output for a highly dynamic power delivery, even at low speeds. 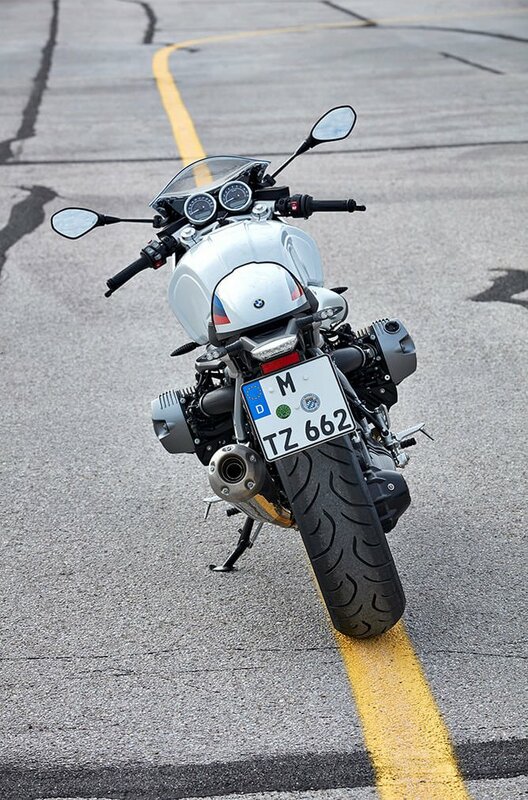 The R nineT Racer's handlebars are positioned low on the upper fork bridge. The moderate offset protects the wrists. The footrests, on the other hand, have made their way backwards and upwards to support the sporty seating position. In addition, the optional custom rider's seat lowers the seat height from 805 mm to 795 mm. The cushion on the rider's seat is slightly raised at the rear. This ensures perceptible relief for the back on long rides. Just like the dynamically designed half fairing - especially at speeds of over 90 km/h.